This is an appeal decision handed down in the Western Cape late last year rejecting a vested rights and own name defence of a property developer called Mr Bloomberg when he tried to expand the numerous companies bearing his name into financial services. The case has a complex history as Mr Israel Lester Joesph Bloomberg had opened numerous companies in RSA over the last two decades attracting a number of objections from the financial publications group. 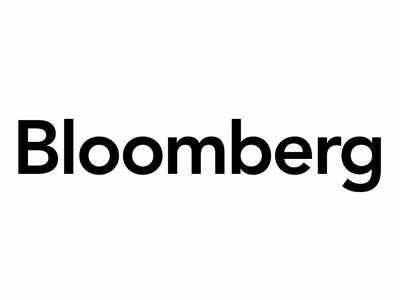 The nub of the complaint from the financial publications company was that it infringed their rights in the name BLOOMBERG. Mr Bloomberg, on the other hand, claimed that his companies were simply holding companies, some of which had been on the register for many years and that he was in the business of property development using his own name. The situation came to a head after the Registry upheld a complaint against Bloomberg Posterity Investments (Pty) Limited and Mr Bloomberg took the matter on review (a re-hearing, in reality). If applicant's alleged objective is to provide financial assistance only to its associated companies, it could choose a name that actually describes that objective more accurately without benefiting from the goodwill created by second respondent. The possibility of confusion occurring sometime in the future using a name including the words "posterity investment" together with a name - BLOOMBERG - whose reputation was acknowledged by Mr Bloomberg were factors which the Court relied on its decision. What is interesting is the Court's acknowledgement of what is essentially spillover reputation created by Bloomberg's online streaming as well as the global nature of financial transactions.
" Clearly South Africans use the internet and have access to second respondent's television channel sufficiently to be familiar with second respondent's products and services. They can accordingly become as confused as any person outside of South Africa could and incorrectly form the belief that applicant is a company associated with second respondent. Given the globalised nature of financial transactions generally, there is clearly opportunity for a strong likelihood of confusion between the two companies, which cannot necessarily be resolved purely by reference to applicant's offices being in Plattekloof, since second respondent has caused its registered companies to trade in South Africa as well."